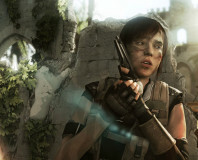 Heavy Rain developer Quantic Dream has announced its next game at Sony's E3 2012 press conference, titled Beyond: Two Souls. 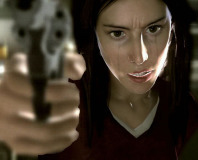 Utilising technology first shown in Quantic Dream's controversial Kara trailer earlier this year, Beyond will be a singleplayer only game and a PlayStation 3 exclusive. Few specific details have been confirmed about the game yet, but we do know that the story will follow Jody Holmes; a girl with a link to the afterlife and some unusual psychic powers. Jody is on the run from forces unknown in the trailer and the game will follow her for 15 years of her struggle. 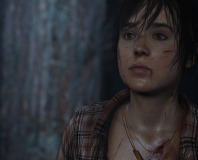 Jody is portrayed in the game by Inception actress Ellen Page, whose likeness was also recently used as the basis for a character in Naughty Dog's The Last of Us - also a PS3 exclusive. Beyond, which is apparently aiming for a PEGI 16 rating in the UK, is currently scheduled for release in the last quarter of the financial year - which is January to March 2013. Check out the trailer below and let us know your thoughts in the forums.